A black bottle to preserve the oil from light and non-refillable measuring cap. EVOO made from green Picual olives. The 500 ml size comes in a black bottle to protect the olive oil from direct light. 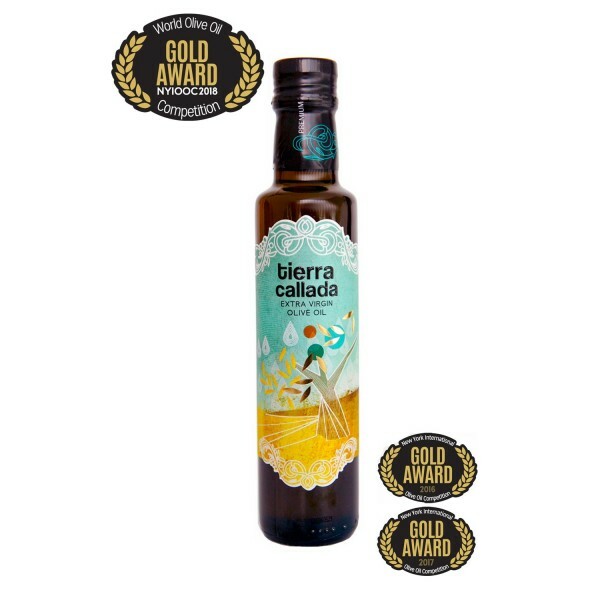 The design of the label is inspired by a poem from Miguel Hernández. It embraces tradition and modernity, and It represents the water, the planets and the olive tree.